It’s thee time of the season again! Traveling and feasting, just a few to name make the holidays worthwhile! It’s also a perfect time to toast memorable memories with friends and families, and there is no better way then with a glass of wine. I don’t know about you, but I worry more about the wine breaking on trips to visit family for holiday dinners, rather than thinking if they’ll like the presents I got them. I’ve been the go-to guy for wines ever since I picked up tasting classes, I don’t mind picking up a few bottles for a dinner, but transporting wine in a city known for it’s horrible stop and go traffic is a nightmare! If only you could fasten a seat-belt on a wine bottle, but that’s just wishful thinking on my part (don’t try this at home) — this isn’t the first time I’ve ran into this problem. I haven’t been the only one with this dilemma either. A friend of mine had a horrible wine bottle accident once going up the hills of San Francisco, well lets just say it snowed it in his car. Let me give you the best solution to the problem, a wine case, and this was the most effective solution I found after dozens of other methods. I tried wrapping it in a towel, stuffing it under my seat, wrapping it in paper and placing it in a duffel bag, but none of these “solutions” offered a guaranteed safe arrival. It wasn’t until I finally decided that technology was my best buddy, and a case designed and tested for travel could be no better choice. Apart from trips to visit family, they are great for wine tasting in Napa Valley. There is noting like taking a nice long walk throw the winery, and having a glass of wine with friends in the open. The wine case has been really beneficial when using public transportation, it provides security and protection, and peace of mind. I’ve dropped countless things on the BART and MUNI, and that floor is unforgiving, so when I’m taking or picking-up wine I make sure to have my travel case. It sure is catching on too, and I don’t know if it’s just a trend or because it looks nice, but glad to see more people getting out and trying wine. 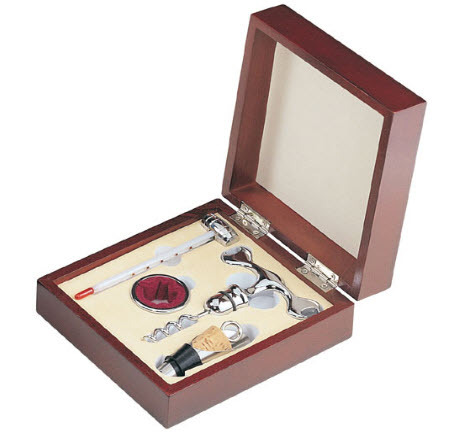 While this post may be a little late to serve as a mini-holiday gift guide, I hope it serves you in picking great wine accessories for wine enthusiasts! Traveling wine enthusiast’s have some of the riches stories to share, they embark on journeys that can only guarantee them a glass of wine. I know from my own personal experience that even trips have their memorable memories. Other experiences such as the surrounding textures, colors, and experiences cannot be described by reviews read online or on travel guides. They are unique and rare experiences of traveling that have not been tainted by the opinions of others. It’s a personal experience that makes traveling worthwhile, and it’s the only occurrence were unique memories and events makes any experience that extra special. Which brings us to why it is essential to be able to cherish and enjoy the experience of traveling. 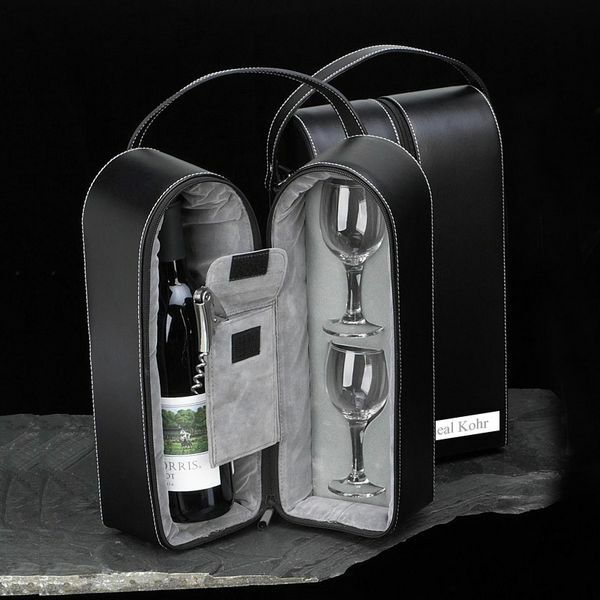 A wine gift set not only provides a sense of security but, it keeps the wine at its best tasting condition, so when the time is right it’s bound to be a true moment of euphoria. Happy Holidays Everyone from the Staff at Memorablegifts.com!